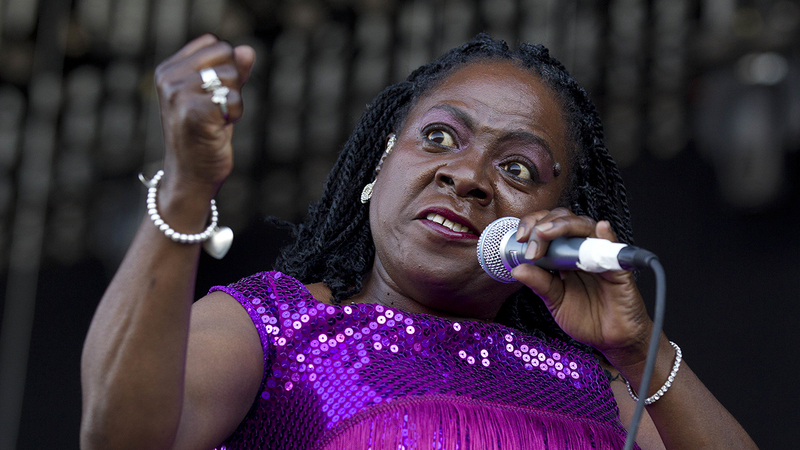 Soul and funk singer Sharon Jones, who toiled in anonymity for years before finding stardom with her backing band the Dap-Kings, has died after a battle with pancreatic cancer, the group announced on its Facebook page Friday. The announcement said Jones was surrounded by loved ones, including the Dap-Kings, when she died. Jones began singing in the 1970s but hovered around the edges of the tough-to-crack musical industry. It wasn't until 2007 when she and the group hit major success with their third album, "100 Days, 100 Nights." Jones' raw, soulful vocals often earned her comparisons to James Brown.